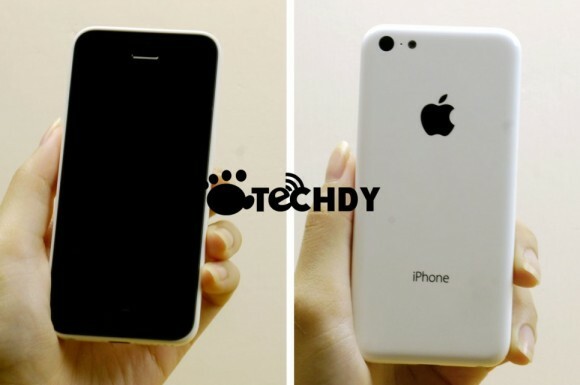 A slew of alleged images and video footage of Apple's much talked about budget iPhone made an appearance on the web. The photos look in line with the leaked colored shells from last week. The images reveal a svelte-looking handset with a 4" display, made of polycarbonate. Despite its plastic nature however, the budget iPhone is said to be impressively well put together. You can see the purported video of the device below. Curiously, the photos come courtesy of a well-known Chinese manufacturer of knock-off devices called Techdy, so we urge you to process them with a pinch of salt. Techdy already has on offer an Android booting copy of the device you see above, sporting a quad-core Snapdragon 600 SoC, priced at an eye-popping $199. You can check out the full gallery of photos at the source link below.